How do I download my sheet music file or book after I place the order? 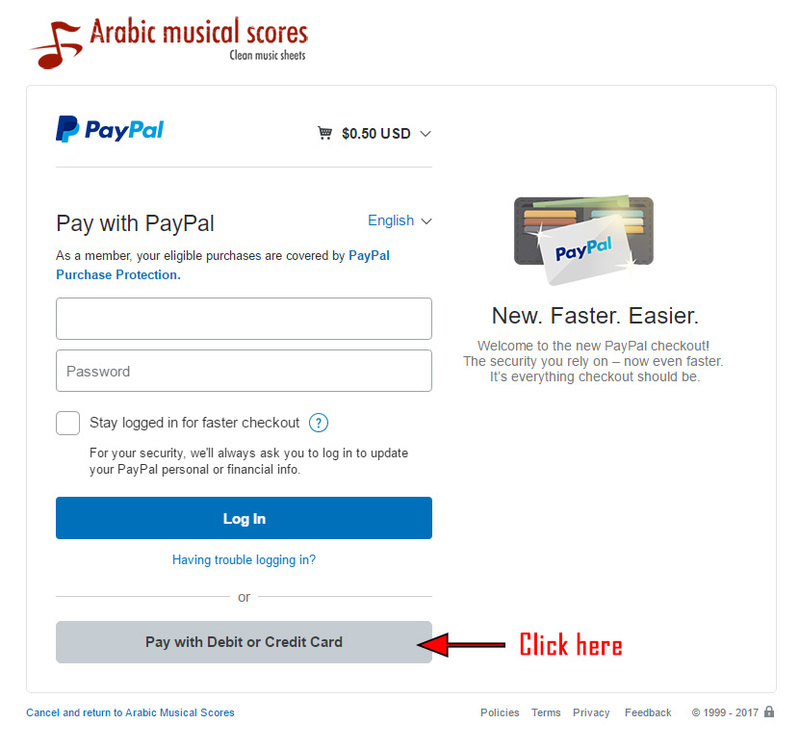 How do I pay with Debit Card or Credit Card without using a PayPal account? May I print the file or the book? How many times will I be able to download the file or the book? The sheet music files are available for download upon purchase and payment completion. 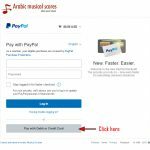 You will receive an email message after you place your order which will include the link to download your purchased sheet music files or book. Please note that the download limit of a purchased file is 4 times, and the download link will expire after 7 days from the purchase time. 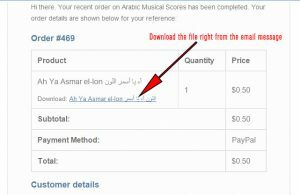 For the Arabic Musical Scores book, the download limit is 2 times, and the expiry is 2 days. 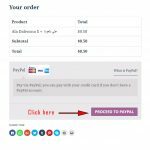 You do not need a PayPal account to place an order. 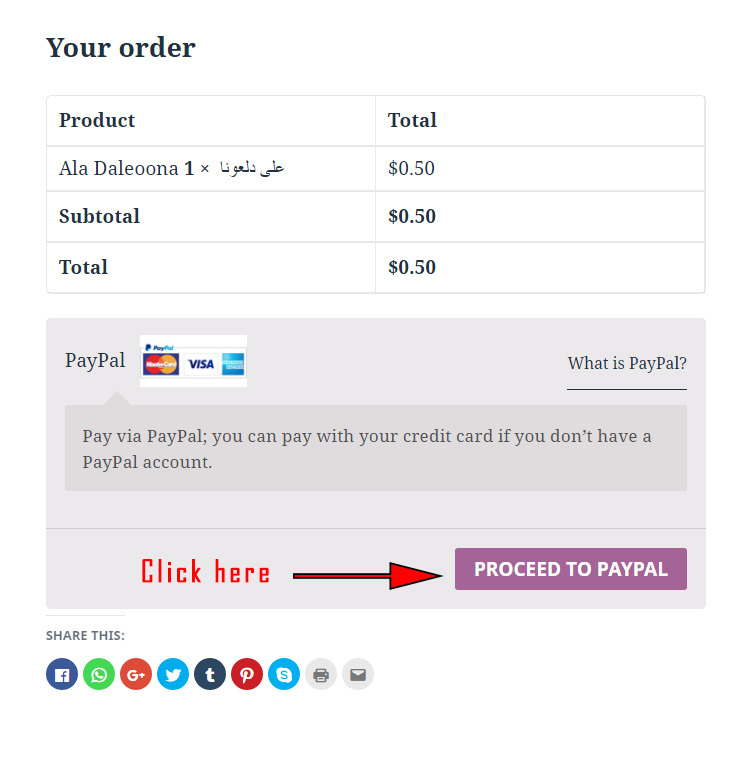 Once you reach the payment page on PayPal website, click the button “Pay with Debit Card or Credit Card”. Please follow the instructions in the screenshots below. 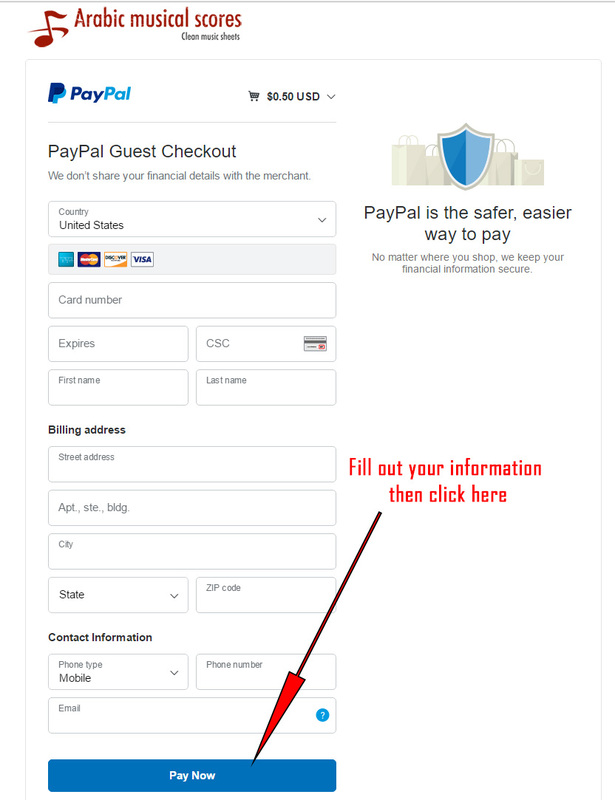 Please note that these instructions are meant for those who do not have a PayPal account or do not want to create one. It allows you to pay faster with your credit card or debit card. 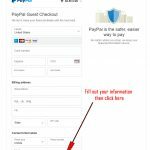 Please note that your payment information is secured by PayPal. We do not have access to that information. May I print the file or the book for personal use? 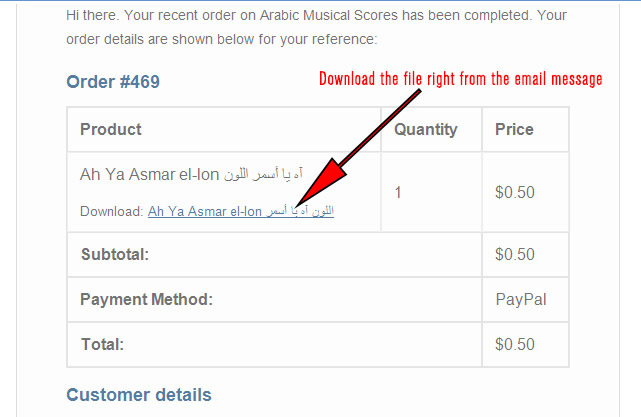 Yes, you may print the file or the book that you have purchased from ArabicMusicalScores.com for personal use only. Please note that reproduction for commercial use, sharing or re-selling is strictly prohibited. For the time being, the download limit of a purchased sheet music file is 4 times, and the download link will expire after 7 days from the purchase time. If for some reason the link has expired and you still haven’t had the chance to download the file or the book at least once, we will know it, so please contact us to renew the expiry of the link.